The Department of Environment and Heritage Protection has charged Linc Energy Limited with causing serious environmental harm in relation to its pilot Underground Coal Gasification plant near Chinchilla. 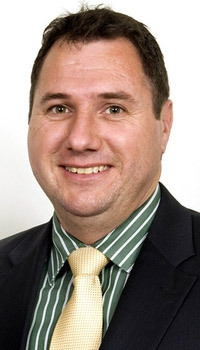 Environment Minister Andrew Powell said the charges followed a nine-month investigation. “As a result of this ongoing investigation, the Department of Environment and Heritage Protection has now filed charges against Linc Energy for causing serious environmental harm,” Mr Powell said. “While the harm allegedly caused to the environment is considered serious, the information available to the department suggests there is no immediate risk to neighbouring landholder water bores. “The department is continuing its formal investigation into the activities of Linc Energy Limited. “We take matters such as these very seriously and there are severe penalties for companies or individuals that fail to meet our high environmental standards. In September last year, Cougar Energy – now known as Moreton Resources – was fined $75,000 after pleading guilty in the Brisbane Magistrates Court to three charges linked to its failed UCG pilot project near Coolabunia. Chief Magistrate Tim Carmody also ordered that the company pay $40,000 in costs. No conviction was recorded. The charges alleged Cougar breached the conditions of its environmental authority by failing to notify authorities for three weeks after traces of benzene were detected in water samples near the UCG site. Both UCG technology pilot trials in Queensland will now be decommissioned. They will only get a pittance fine at the most and allowed to continue.